Finding us in Bruxelles is a breez. We are located on a small beautiful square at Place de la Vieille Halle aux Blés, together with Jacques Brel Foundation. We are just 180m from the famous Bruxelles site Mannekin Pis. If you are there just take the Rue du Chêne uphill and you will reach us in a minute. Oh, and take the selfie with Mannekin Pis—we will give you a discount if you show us the photo. 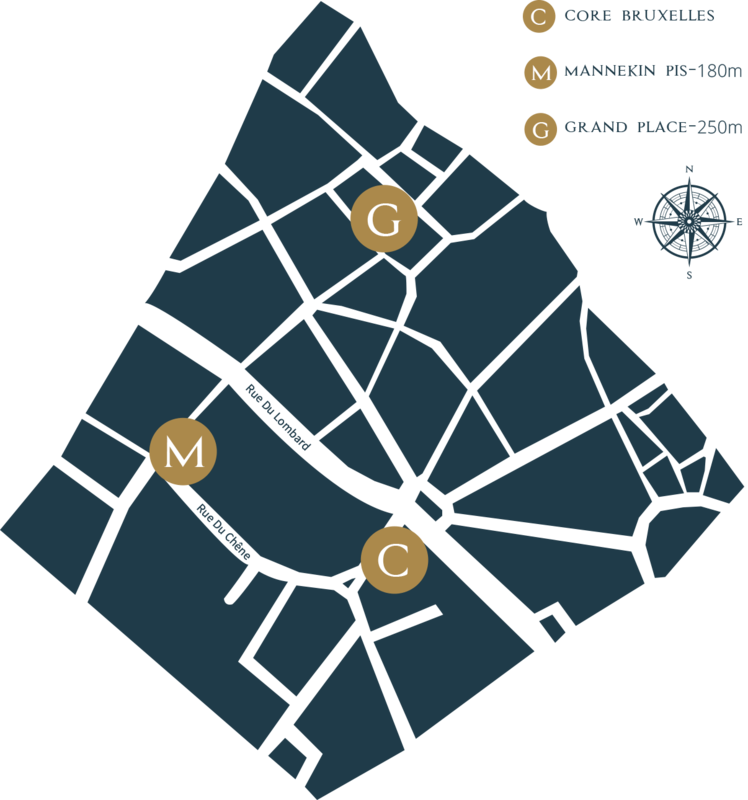 We are close to Grand Place too. Only 250m. When you are there, Find Hard Rock Cafe. Take Rue des Chapeliers all the way to the main Rue Du Lombard. Once there, cross the street and head uphill. Our street is first on the right. Turn here and you will see us after 50m. Click to start the navigation in Google Maps now!